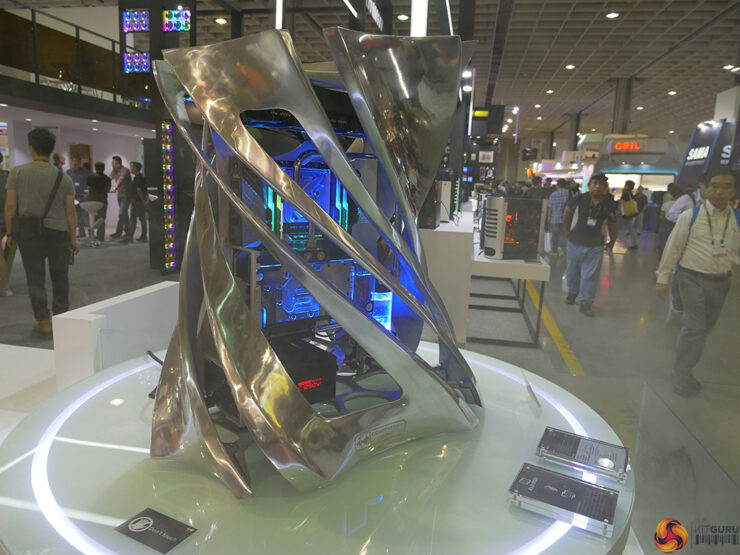 With Computex 2018 ending a few days ago, we’re looking for the best and the most interesting products we may have missed out on during all the hustle and bustle with 32 core Threadripper and 28 Core Intel CPUs on display. 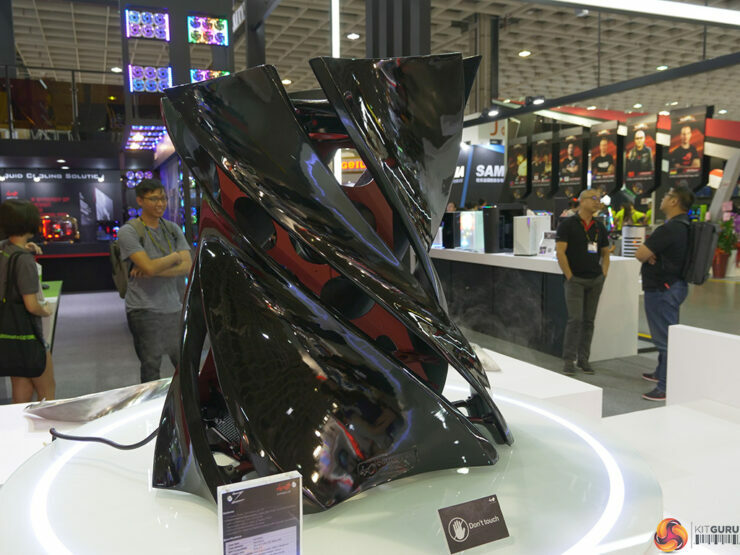 In Win has turned heads all over yet again with their Z-Frame looking more like a piece of performance art than a PC case. 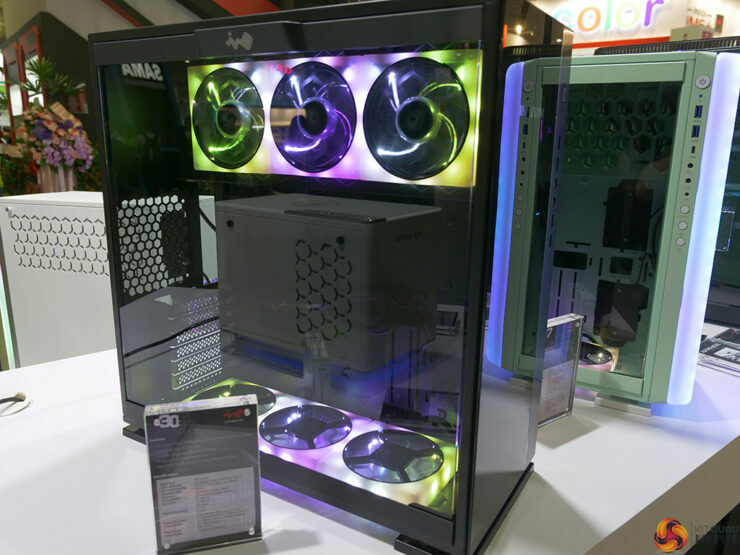 It has twisted blocks of cast aluminum that meets up at the base with an open air motherboard tray that supports up to the E-ATX form factor with mounts for two 3.5 inch HDDs and two 2.5 inch SSDs allowing up to 4 drives total and a full-size ATX power supply. 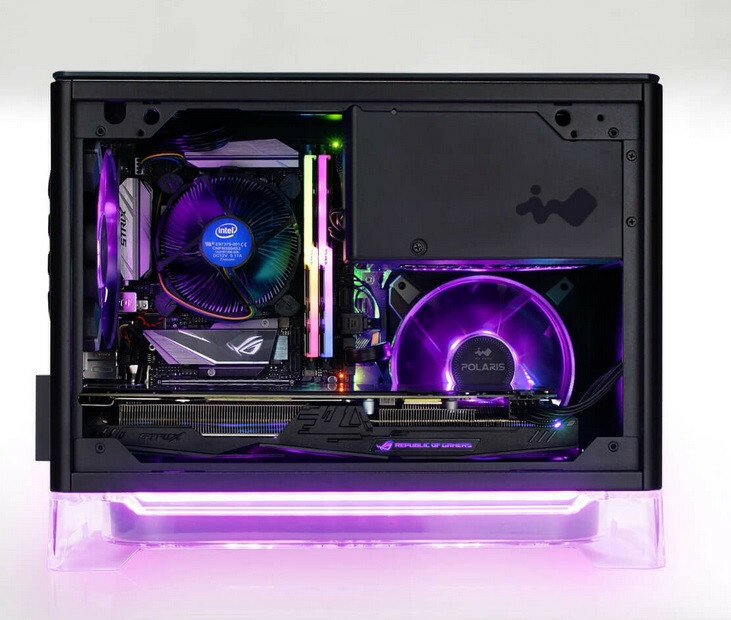 Like the D-Frame and H-Frame cases before it from In Win, the Z-Frame is open-air, only has support for three 120 mm along the top panel, letting you mount a 360 mm radiator. Front-panel connectivity includes type-C USB 3.1, in addition to type-A USB 3.0, and HDA jacks. 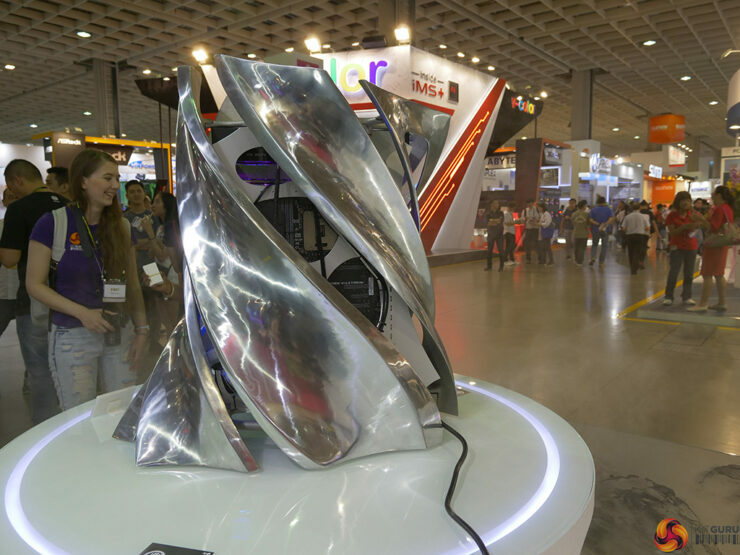 The Z-Frame comes in two color options, chrome-silver, and glossy black, both of which are made of the highest density cast aluminum. This thing isn’t cheap with the price totaling at $10,000 and will have a limited production run. 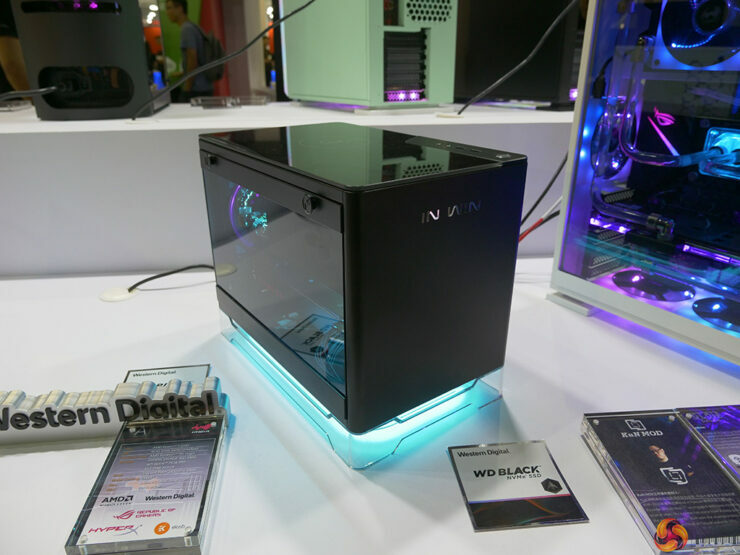 In Win Also has shown off its A-Series Mini-ITX PC case which is available now. 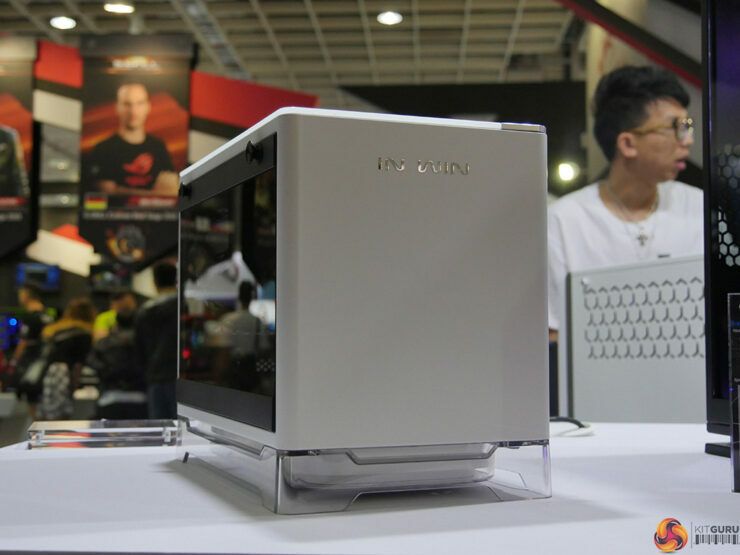 We wrote about it during its launch and had this to say about it “Even though it is quite small the A1 still supports tower coolers up to 160 mm tall and a dual-slot graphics card up to 300 mm in length. 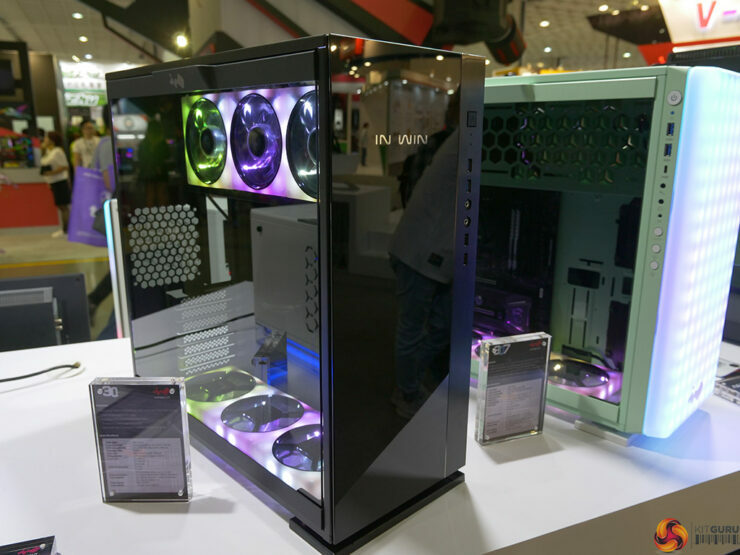 Also, it packs 2x front USB 3.0 and the standard audio ports are available, as well as room for up to 2.5-inch drives. 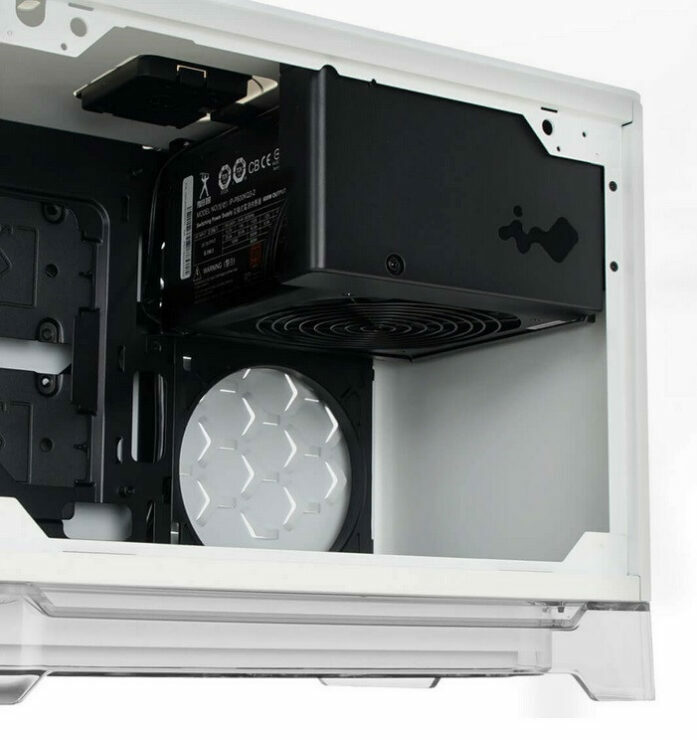 The A1 supports 120 mm fans on the side and rear and dual 120mm fans on the bottom of the case, above the dust filter. 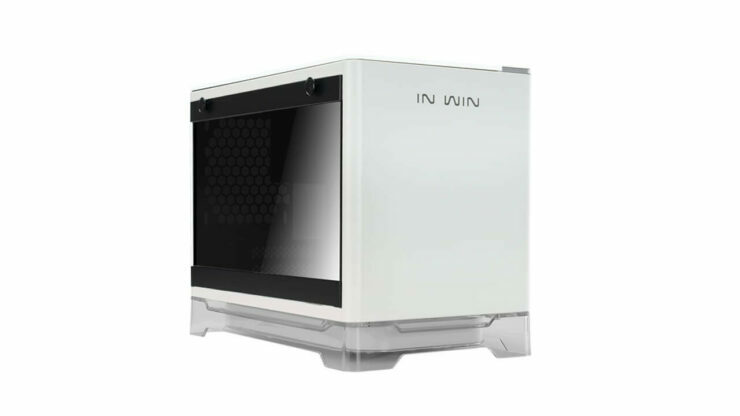 An In Win 600 W, 80 PLUS Bronze power supply is also included with the A1, with preinstalled cables already laid clean in the housing. 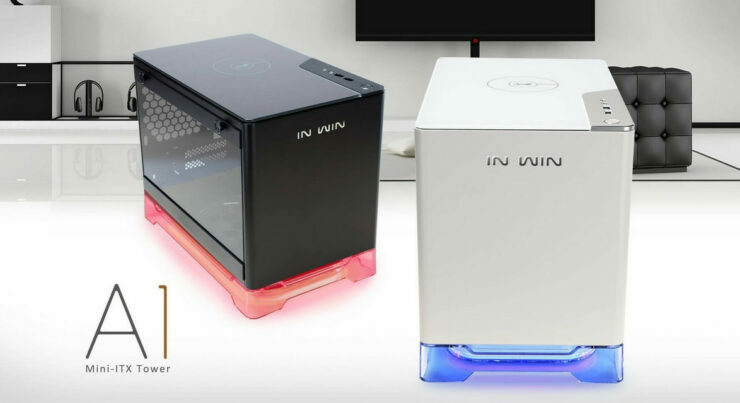 The power supply is housed in an insulated upper power supply chamber that provides easy access to the interior of the compact system, and separates the heat buildup from this component and the rest of the cases’ contents.” It also features Qi wireless charging as well for those who are always in need of a charger. 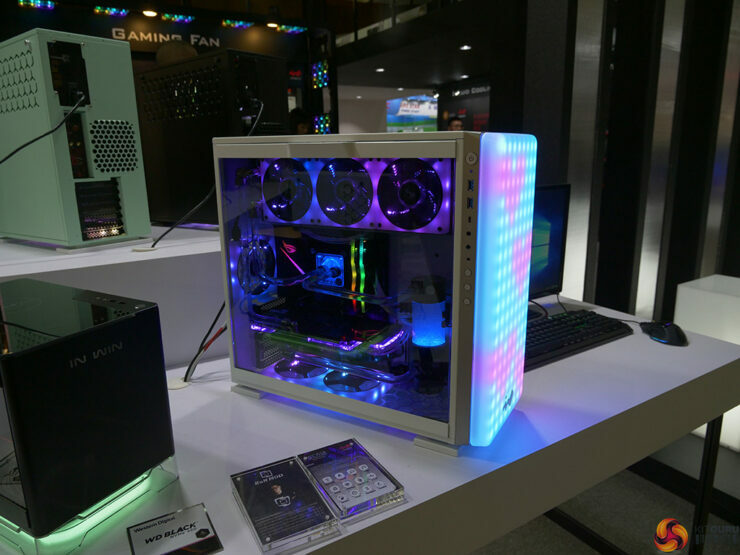 In Win 307 is one of the more…practical cases at this year’s Computex. 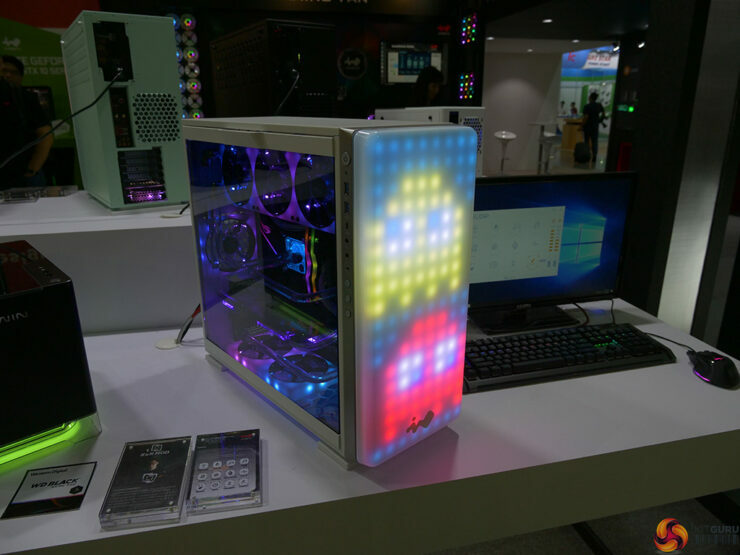 When the system is powered down, a build with this case looks pretty standard, until you power it on, you’re greeted by a light-show from a 144-pixel (8 x 18 pixels) display made up of 1 cm² “pixels” that are diffused through a silicon sheet so they look more like glowing warm-white dots than squares. 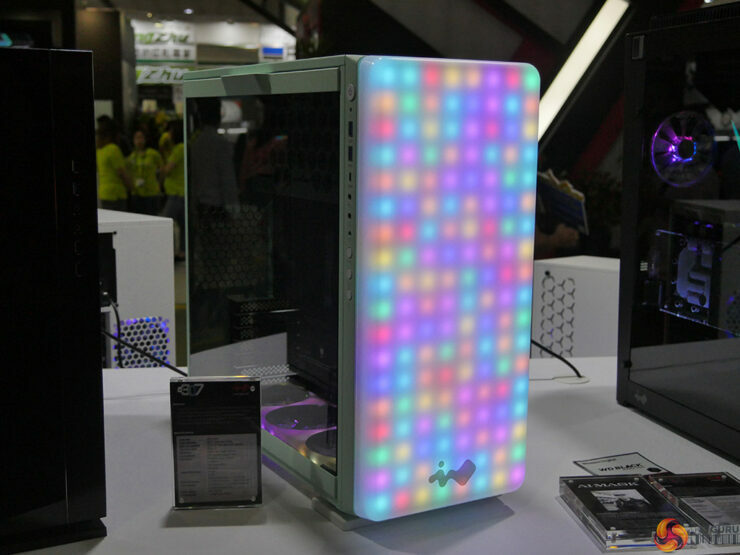 This display plugs into one of your USB 2.0 motherboard headers, and you use software to do a bunch of things with it a customized animation, visualization for your PC’s audio output (graphic equalizer), or one of several animation presets. 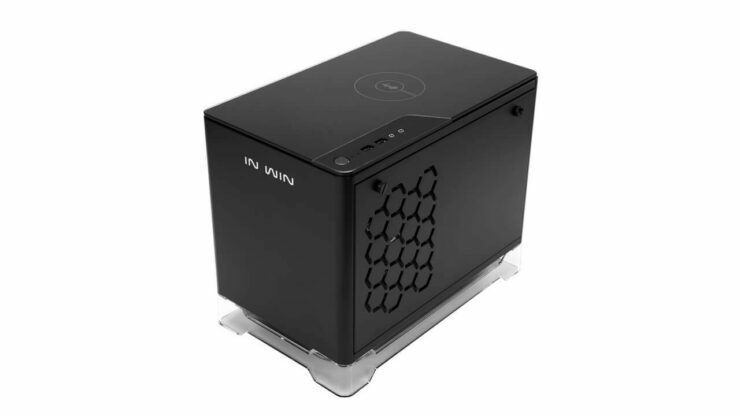 The 307 is vertically partitioned with the left compartment holding the ATX motehrboard tray and room for GPUs 35 cm in length and CPU Coolers 16cm in height, it also features detachable fan mounts with two 120 mm intakes and three top 120 mm exhausts. 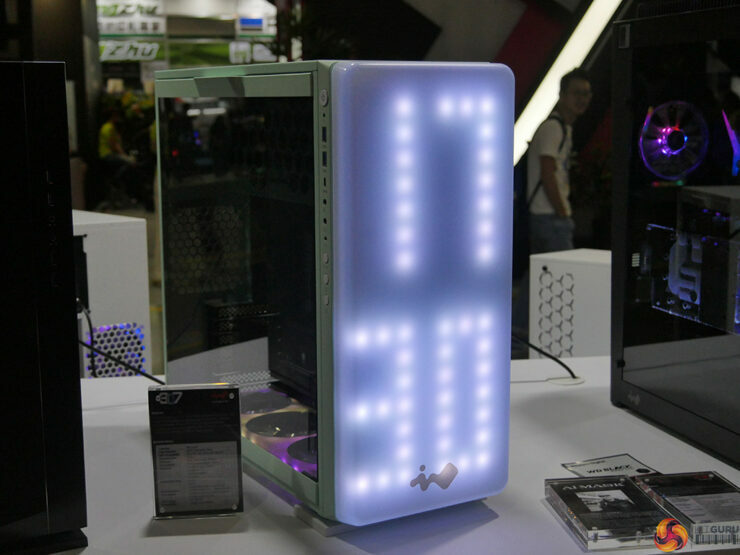 The 305 is similar to the 307 just sans the LEDs all over and a tempered glass side panel.